I cannot even begin to explain to you all how much this book appeals to me. I only discovered it a couple of weeks ago but I have been thinking about it a lot since then. Sci-fi meets fantasy is already more or less of a win-win for me, but having that mix within this zodiac galaxy?! OMG guys, I need this book in my life! It sounds so cool that the galaxy would be divided up by personality like that. The reach of this plotline honestly gets me and the astrology twist added in to that sounds brilliant! I'm also really digging the sound of this new young guardian of the galaxy up against and an age old threat out for revenge I can't even right now...December where are you? 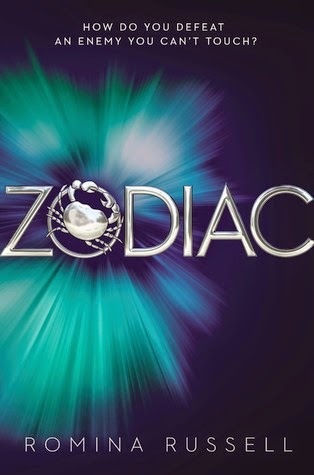 What do you think about Zodiac? Let me know in the comments below & don't forget to link up! It's like an expanded faction determined society a-la Divergent? But I love Divergent so I really like the sound of this one. I hope the world-building won't be so overwhelming. Great pick and thanks for sharing! Really awesome pick. This one intrigues me. My goodness! I haven't seen this one before, but it sounds fantastic. I'm interested to see what directions it takes with that concept. I look forward to your thoughts when you get to read it in December :D I hope you are having a blast at BEA! Jaclyn @ JC's Book Haven. My gosh, ever since I saw this book on Edelweiss, I've been pining for it! Too afraid to request though since I've been been approved. I've only ever read one book about the Zodiac (The 13th sign) which is more of an MG book than this one, but I love the premise of this book! Great pick!